It's Not Serious! 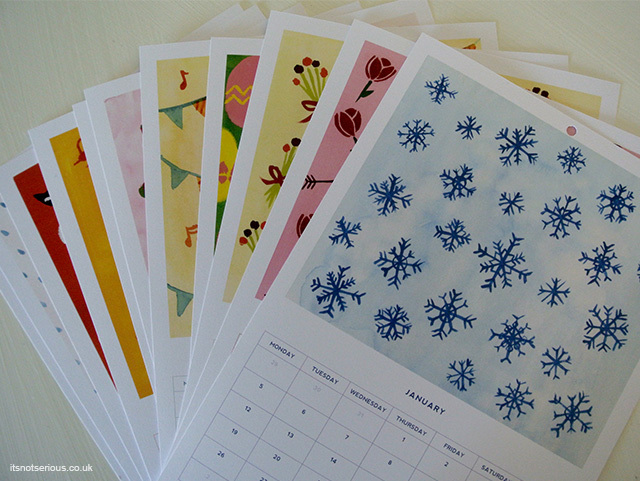 : Giveaway - Free 2015 Calendar! Better late than never right? 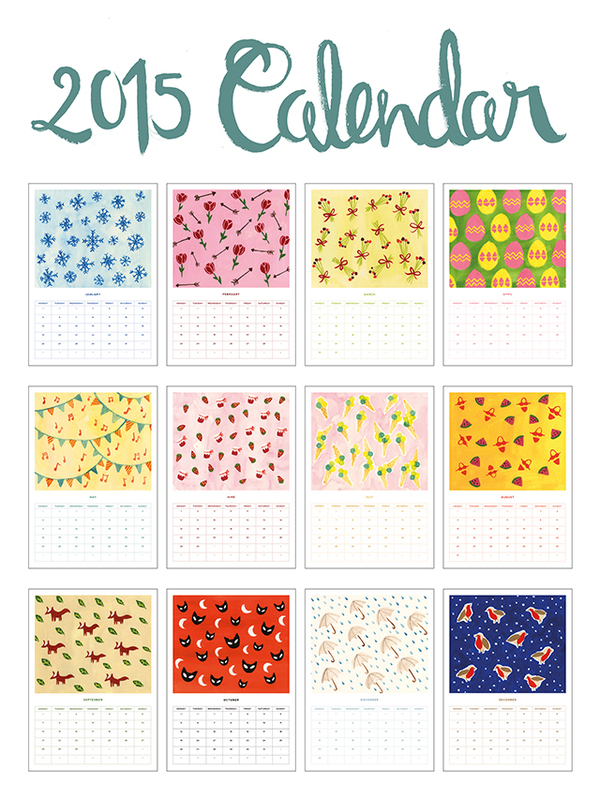 I wanted to do something a bit more special for the end of the year, and I thought that a downloadable calendar would be quite useful and look pretty on your wall! I've hand-painted each pattern myself and even if the process was quite long, I thoroughly enjoyed getting my hands on some paint to create playful and colourful patterns! 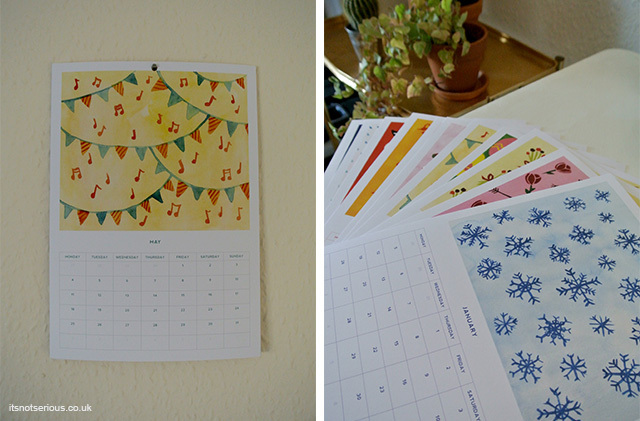 The calendar is an A4 format so it's handy for you to print. 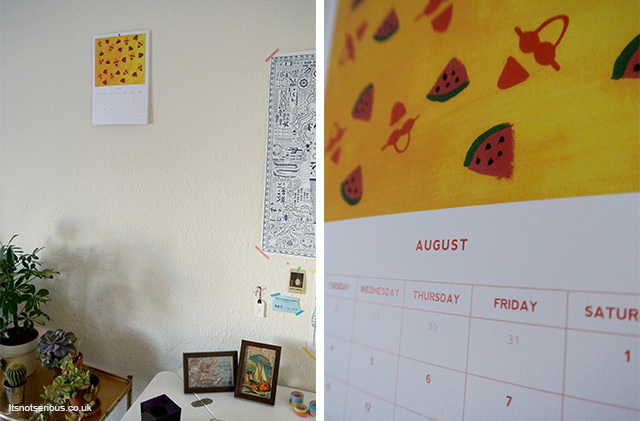 I've printed mine onto some thick uncoated paper as it's then thick enough to hang on the wall.